The Fish River Canyon is the largest canyon in Africa. It is approximately 100 miles (160km) long!! It is also the longest interior river in all of Namibia. Canyons are usually created over millions of years when powerful water carve their way through solid rock. The Fish River usually is flowing strong early in the year but by September it can dry up and leave only stagnant pools in the canyon. 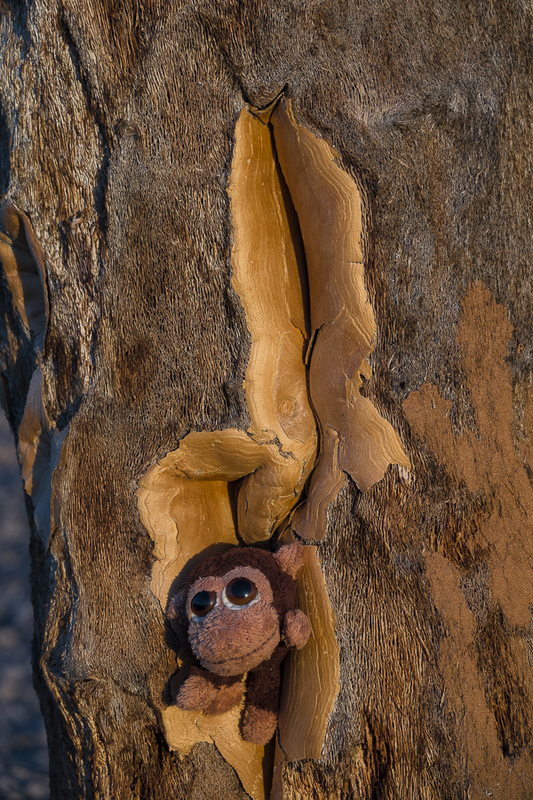 Mr. Monkey watching the sunset from Fish River Lodge.